Tomorrow morning (9:15-9:35 AM Eastern) I will be on Ave Maria Radio’s Catholic Connections with Teresa Tomeo to discuss the seemingly controversial words of Pope Francis in a recent homily. The Lord has redeemed all of us, all of us, with the Blood of Christ: all of us, not just Catholics. Everyone! “Father, the atheists?” Even the atheists. Everyone! And this Blood makes us children of God of the first class! We are created children in the likeness of God and the Blood of Christ has redeemed us all! And we all have a duty to do good. And this commandment for everyone to do good, I think, is a beautiful path towards peace. If we, each doing our own part, if we do good to others, if we meet there, doing good, and we go slowly, gently, little by little, we will make that culture of encounter: we need that so much. We must meet one another doing good. “But I don’t believe, Father, I am an atheist!” But do good: we will meet one another there. 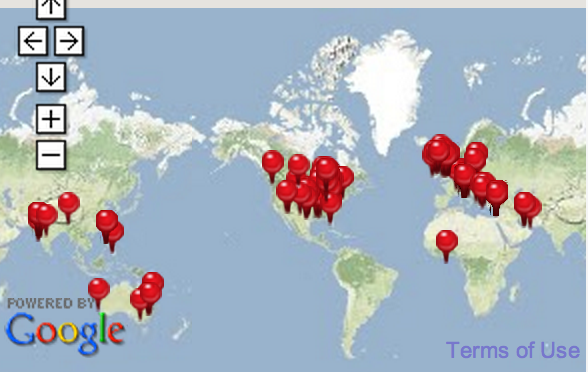 You can join us live at www.AveMariaRadio.net. 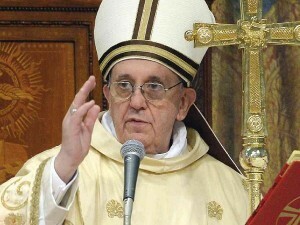 Rome, Italy, May 24, 2013 / 03:58 am (CNA/EWTN News).- Rome’s most well known exorcist says Pope Francis performed an exorcism in St. Peter’s Square last Sunday and that the man was possessed because of Mexico’s abortion law. 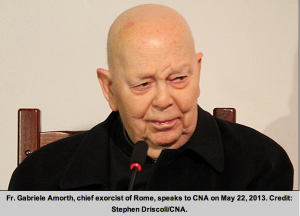 “The Pope, in good faith, got close to him and performed an exorcism on him in the form of a liberation prayer, not like the classical exorcism that one does with a book,” said Father Gabriele Amorth in a May 22 evening interview with CNA. MORE FROM FR. 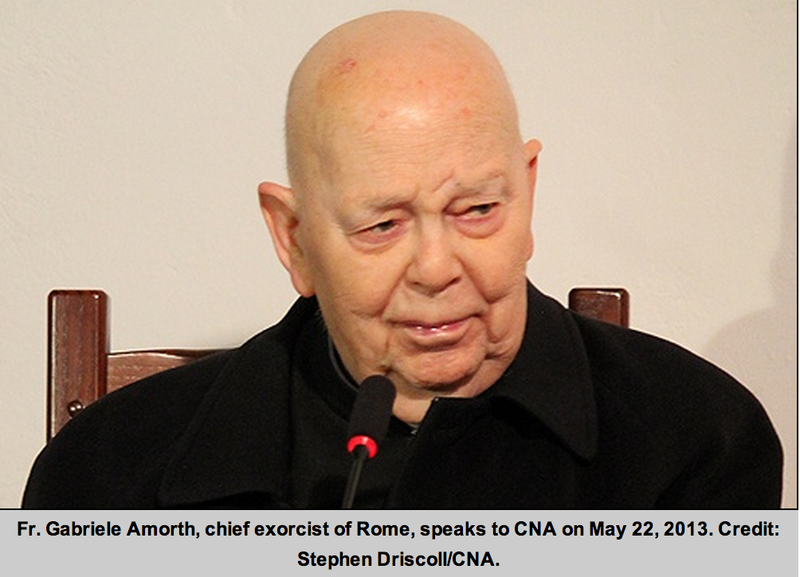 AMORTH ON THE DEVIL AND EXORCISMS. “He is really a soul of God, which the Lord is using to criticize Mexico for legalizing abortion,” he said. According to Fr. Amorth, he himself performed an exorcism for over an hour on the Mexican man before the Pope prayed over him later that same day in St. Peter’s Square. Vatican downplays the exorcism here. STEVE RAY HERE: I’ve personally seen exorcisms at close range on a number of occasions and I have NO DOUBT that what I saw was real, that the Devil and evil spirits really exist and that through Christ there is victory over them. Suicide in Notre Dame Cathedral; Violation of Sacred Space; Protest Against Gay Marriage? Last Footprints of God DVDs in the Plans – Pray for Us! 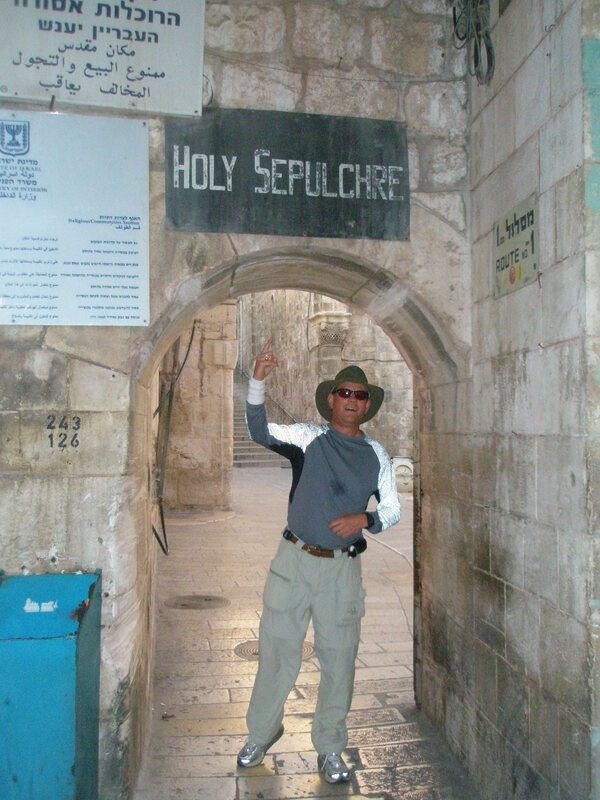 Don’t miss one of my more recent Pentecost MP3 recordings where I take you up to the Upper Room in Jerusalem and explain how the Church was born 50 days after Christ rose from the dead!! Let me know what you think of my recent newsletter.